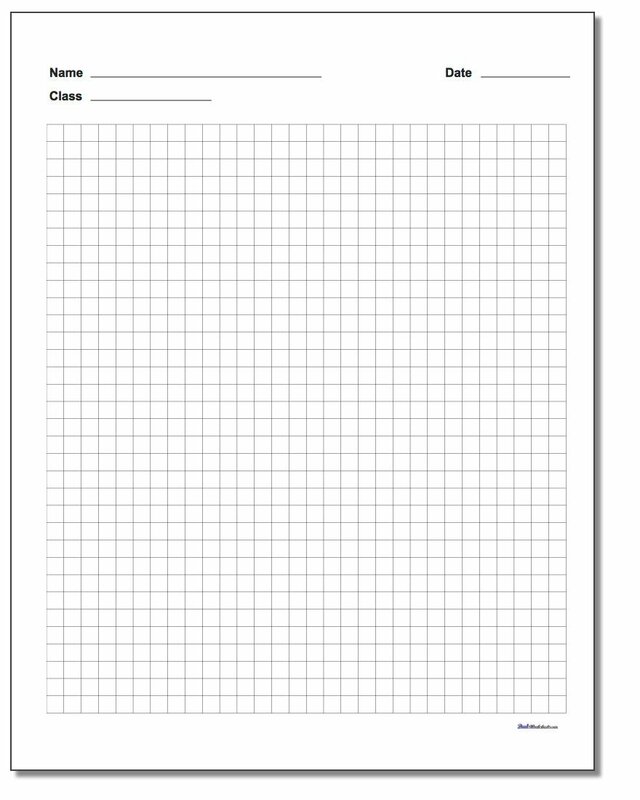 Blank standard and metric graph paper (or "grid paper") in various sizes. Standard sizes are 1/4", 1/5", 1/8" and 1/10" grids (4 grids per inch, 5 grids per inch, 8 grids per inch and 10 grids per inch respectively). Metric sizes are 10mm, 5mm, 2.5mm and 2mm grids. Engineering graph paper in standard and metric scales where intervals on the graph paper are emphasized to create groupings of graph units with major lines appearing every four or five divisions depending on scale. Standard sizes 1/4", 1/5", 1/8" and 1/10" grids . Metric sizes 10mm, 5mm, 2.5mm and 2mm grids. Scale may diverge slightly due to differences in printers. The printable isometric dot paper is great for drawing... isomorphs? Actually, isometric dot paper is great for 3D drawing, perspective renderings or alternative renderings of conventional two dimensional graphs. It can be your ultra-cheap CAD system if your pencil skills are up to it! While not technically graph paper, you'll also find on this page printable blank dot paper. The dot paper comes in the same metric and customary unit dimensions as the graph paper, and there are variants with very fine dots or slightly larger (and easier to see) dots, depending on what you need. 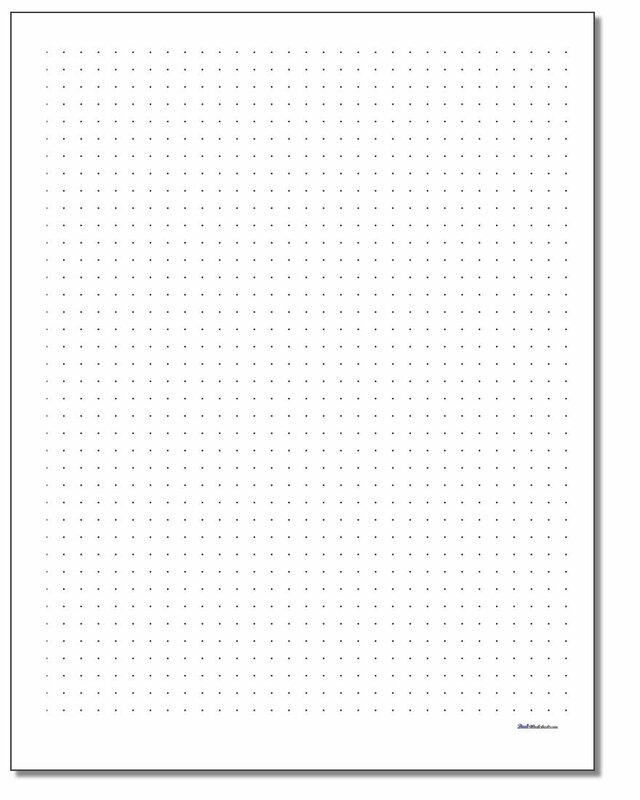 The dot paper with the smaller dots can be useful if you want the dots to visually 'disappear' at a distance, so they can be really useful for creating an graph or illustration where you don't want the grid to be obviously a part of the background. Besides the regular Cartesian dot paper, the isometric dot paper on this page is a great tool for creating 3D sketches or creatively working on geometric patterns. 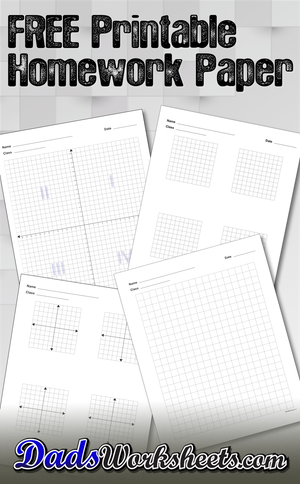 There are many educational activities for which you can use graph paper. The most obvious application of graph paper is for graphing, but many people also prefer graph paper for handwriting practice as the vertical cells can help encourage proper letter spacing. In a pinch, graph paper can serve as a substitute for a ruler for making measurements. Graph paper is also useful for drawing, and many architectural projects can be conceptualized or even completed with the aid of simple graph paper. Graph paper is also a great way to experiment with furniture layout in rooms, plant layout in landscape design. Many software developers also start with mockups of app designs or user interfaces by sketching them on graph paper... I know I do! You will find graph paper is also a great way to lay out patterns for craft projects like emboridery, cross stitching or other similar pattern making activities. And don't forget, long before there was MineCraft, there were tons of amazing pen and paper games all of which can be played (and often must be played) on graph paper. Dots and boxes is one such game, but there are many many others that you'll find including traditional favorites like Battleship or Connect Four. 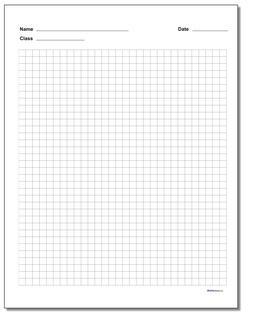 If you are an artist, or an aspiring artist, graph paper can be a useful tool for developing your skills. Zentangling is one such art form for which graph paper is especially well suited because of its development of structured patterns. Regardles of how you learn to express yourself, you'll find that graph paper provides a useful way to hone your artistic craft.